Borehole image and dipmeter artefact arising from non-regular tool motion where tool speed differs from the nominal cable speed following jamming or friction with the borehole wall. The tool sticks at a given depth, but the cable continues to be drawn up the hole, the tool then pulls free and accelerates up the well bore. These irregular tool motions often give rise to a characteristic single valued resistivity response on dipmeters and resistivity imaging tools across a depth interval. Examination of the vertical accelerometer curve in conjunction with raw resistivity values allows identification of affected zones. An excess of pad pressure exacerbates this problem. 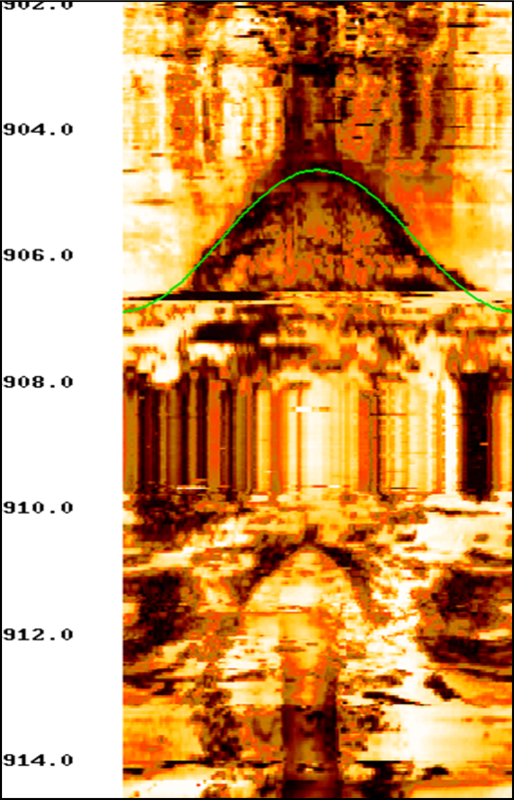 Accelerometer corrections help mitigate this problem in the processed borehole images. See also floating pad, pad pressure, mirror image dips and accelerometer correction.